Dr. Deepak Sampath is an experienced Orthopedist in Hennur, Bangalore. He has helped numerous patients in his 14 years of experience as a Orthopedist. He studied and completed MBBS, Diploma In Orthopaedics (D. Ortho), DNB (Orthopedics). You can visit him at Fracture and Joint Orthopaedic Clinic in Hennur, Bangalore. Don?t wait in a queue, book an instant appointment online with Dr. Deepak Sampath on Lybrate.com. Lybrate.com has an excellent community of Orthopedists in India. You will find Orthopedists with more than 44 years of experience on Lybrate.com. You can find Orthopedists online in Bangalore and from across India. View the profile of medical specialists and their reviews from other patients to make an informed decision. I am 45 years old and I have hypertension and diabetic. Recently I am suffering from gout attack. Please clarify the remedy for gout pain. Hi I am Dr. Deepak from bangalore, please provide your blood investigation, kidney funtion tests. Till then 1. Give ice packs twice. 2. Take pain killer. I am suffering from hip joint pain both sides. Taking glucosamaine & calcium herbal tablets since one week days. Do you suggest any other treatment? Hi I am Dr. Deepak sampath from bangalore, if you can upload your x rays, I can give you a better suggestion. Calcium supplements will strengthen your bones. Avoid squatting and sitting cross legged Pain killers occasionally Post your x rays. I am having pain near coccyx area. Specially while riding bike. Its been more then 6 months. I cannot sit on hard and small surface due to this pain. Any advice will be appreciated. Thank you. Hi I am Dr. Deepak sampath from bangalore, it looks like you have what is called as coccyxdynia, use a ring pillow whenever and wherever you are sitting for another 3 to 6 months. Pain will go gradually. I am 24 year old girl. I have pain in back while take deep breath? what can I do for that? what is the reason? 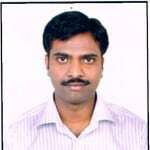 Hi, I am Dr. Deepak sampath from bangalore. If you can eloberate your symptoms, did you have any injury or did you strain by lifting weights. Injury to chest or back of chest can cause pain. If so take rest, usually chest injuries usually take 3 to 4 weeks to resolve till then rest and occasional pain killers. I am 64 years I have pain in my right shoulder arm upto the elbow for last 2 montis which increases when I raise my arm upto 90 degree to my shoulder. Much stiffness when wakeup in the morning. Hi, it looks like your shoulder is stiff. Can you eloberate on your problems. Is there neck pain? are you diabetic? if no neck pain get a shoulder x ray done and upload to me. I developed a leg sprain when I got into the bus as the driver took it off as soon as I kept my foot on the first step. Now I can't climb down the stairs without pain [right leg alone]. Left is alright. Could you help me, please? I am 54 years old woman. Hi, kindly give ice packs, take killer and since you are 54 yrs old your bones will be weak get a x ray done if the pain is severe. I am 45 years old. I am auditor, I have work in front of computer last 20 years. I have neck pain. What should I do? Hi, kindly take a look at my health tip for ideal way of sitting in front of computer and tips for neck pain. Kindly do strengthening exercises for the neck. Broken ligament of right knee on the left side before 2 months. What all are the exercise needed for the better improvement. Hi, if you can specify what ligament is torn and if you can upload the mri images. Then I can suggest you better. I am having pain while walking on the inner side of my right leg heel. What could be the ailment please help. Hi I am Dr. Deepak sampath from bangalore, looks like you have what we call plantar fascitis Kindly do the following things 1. Wear mcr chappals 2. Hot water fomentation 3. Occasional pain killer Usually it takes few months to get relieved. Hi I am 26 years old. I am feeling numbness in right hand fingers and gradually it is increasing. It is started from last week only. I had an accident before 2 months and right only hurt with only pain. Which doctor I will consult. Please suggest. Hi, it looks like there is some compression on your nerve near the wrist. Kindly get a nerve conduction study of upper limbs done and post me.